... In the present, among a desire to rid the world of such segregation and finally unite the people as a single voice once again, it falls to Jesse and Evelyn to overcome their familial and racial differences and restore the Great Tower to its former glory. In a twisting and psychological work of historical fiction, Jay Horne brings a well-known story to life during a time when humanity needs a beacon of hope in the real fight against racism and political turmoil. Re-unite the continents of the world, in Jay's romantic adventure. 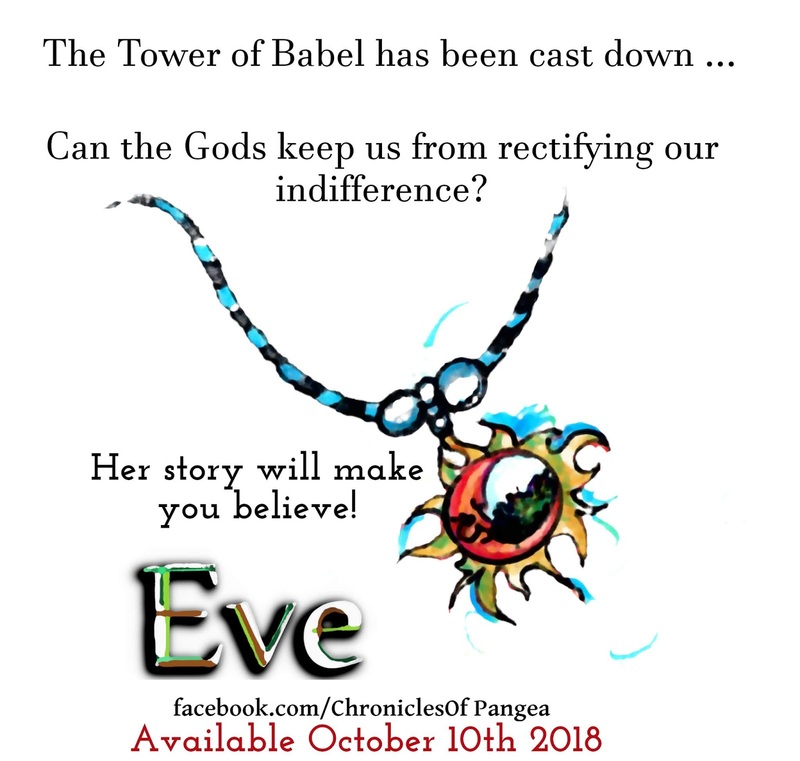 Romeo and Juliet meets the story of creation, in the first installment of the Chronicles of Pangea- EVE. 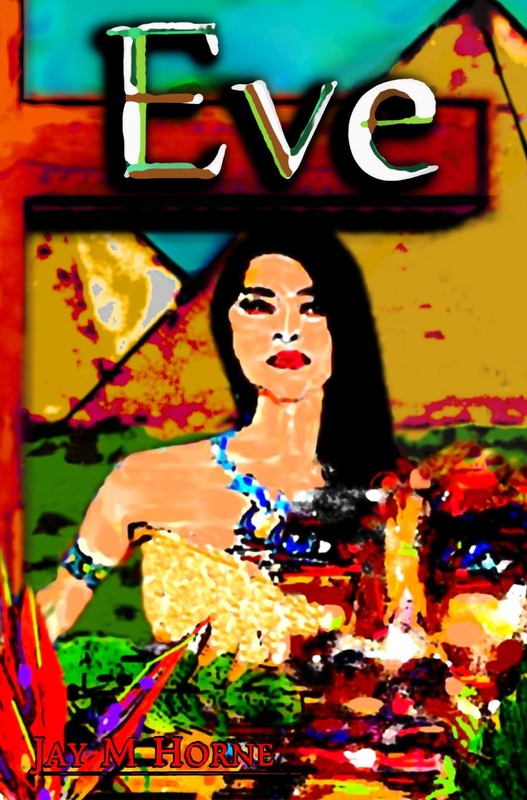 Evelyn meets Jesse at a hotel in London during the 20th century, after the death of her late husband who dragged her willingly into the era of industry from the Western jungles of Africa where she lived among her tribe, the Oxychana. They never thought that the ancient symbol of their love, fashioned by the hand of Merlin during the great King Arthur's marriage, could carry so much power. Evelyn and Jesse faithfully nurture their taboo relationship (despite, and with 'help' from the supernatural forces of the Fae and Djinn, sent by Father Time and Mother Earth) while uncovering the dark secrets of their families' pasts. The bond between the two could be the only hope for erasing global segregation and returning the great First Pyramid to its former glory. Make your way back to the saga that started it all ... can Love reunite opposing Creeds? We pick up after Jesse and Evelyn meet in a London hotel in 1980. Their initial accounts of their past's spark a desire for one another and as Evelyn sleeps in Jesse's arms, she dreams of Adam, her late husband who dragged her willingly into the modern era of industry from her home in the jungles of West Africa, where she lived among the Oxychana. Excerpted from Chapter 5: Evelyn Dreams ... Enjoy! She became aware of the jungle's liveliness again, as the dark enveloped and her eyes grew accustomed. Sounds of various creatures, the native birds and insect varieties, took on a blanket effect in the night. She didn't like this loneliness, here on the edge of a jungle she once thought of as impenetrable, here on the cusp of everything her father had filled her head with over the years, here— on the brink of change. A piercing whistle mightier than any eagle call sliced through the night air over the sounds of the rain, and Adam burst from the leaves reaching for her arm with an eagerness that made her forget his injuries. He tugged her to her feet and started toward the darkness of the open air where she now saw a light in the distance too high to be natural. "Go now!" barked Adam, as gunfire paraded from the forest not five hundred yards from where they emerged. It was then that she saw the silver and gold lights coming from the jungle in a steady stream toward the sky. Her mind had no time to recount the New Year's fire her father spoke of from his travels to Asia, but it was the same. She would not let go of Adam. And though he had turned his back to her with his rifle aimed into the denseness from where they'd come, she clutched even tighter pulling him along. The piercing wail of the rocket was blurring her train of thought but she vaguely made out structures in the dark, and before long saw the twists of wire with spiked barbs coiled around wood. "I see something!" she managed to say among the noise, not knowing if he heard, or if he cared. Gunshots, from behind, rang out one after another, and the ground sprang to life around them. Leaf and mud spattered in unison with each shot, some bullets leaving trails through the wet terrain like whips in action. She thought of dropping but kept running until Adam's rifle came to life with a devastating sound she had never heard so close. She stumbled in the wet mud, forcing him down to one knee, as she clasped her ears. Adam let loose three consecutive shots before yanking her up and pushing her forward, urging her to continue. She could make out the shape of soldiers in the distance moving closer, and as she squinted in the torrential downfall of rain to make things clearer, an explosion rocked the earth not a hundred feet distant, sending mud pelting them as they ran! Adam was screaming in French, "I'm here! Fire! Fire!" The horizon lit up with an array of gunshot, brilliant enough to illuminate the source of the constant drumming she had been hearing. There stood an awning of metal, built quite poorly, but finally making a distinct welcome entrance into where they were headed. Another explosion nearer the forest—originating from this side—cast the couple's dark shadows ahead, wreathed in orange hue. As they entered, happy to be secure from the wet and metal rain ... steady drumming on the roof remained. *** I really hope you enjoy- of my twenty publications, this one has taken ten years to perfect and has always been my most passionate work. 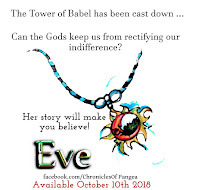 Philosophy, faith, Christian morals accepting similarities with Pagan, reunification of the Human race, and of course, how EVE became the first woman on the planet. Romantic Fantasy with some myth and legend, bound for the big screen. 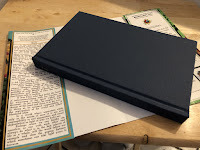 I've been inspired by writers such as Marion Zimmer Bradley, Stephen King, Anne Rice, Douglas Monroe, and even Charles Dickens. And to top it all off I am working to bring you the prequel and sequel. Husband and father of four, out of Bradenton, Florida. Also enter for a chance to win an autographed copy FREE.